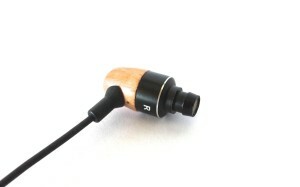 What can be better then a pair of solid wooden earphones? 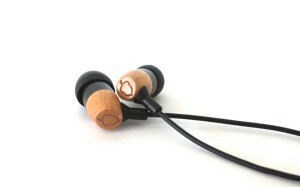 Two pairs of solid wooden earphones! UK based company Acorn Media were kind enough to send me both their E1 and E2 earphones. The E1 was there first release and gained them a lot of business and recognition. This then allowed them them redefine the process, and change the design a bit, to release the E2. I check them both out here. Once out of the box, I found the Acorn E1 earphones to be built very well. You can tell instantly that the materials used are all high quality & feel well made. The overall finish to them is really good, you notice this most on the wooden parts. If you were to close your eyes, and hold them, the weight would make you think they were plastic. But Acorn have managed to get the overall weight down, whilst still using premium materials. 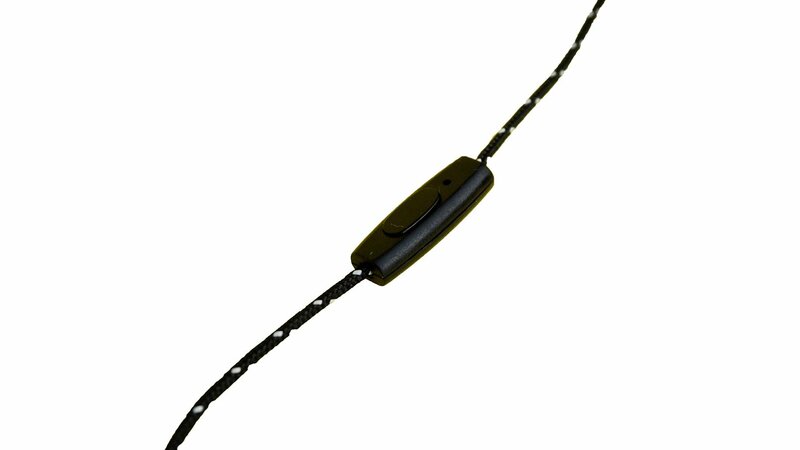 Acorn opted for the more traditional silicone cable instead of a woven alternative, this may be due to wanting to keep it all light and the cost down. Though I will always be a fan of the woven cable, I do find the silicon one picks up less noise when it bumps on my shirt. The strain relief where the cable splits is nicely understated and remains unnoticed in use as it should. The 3.5mm jack plug is at an angle rather than being straight, or a right angle. This means that there is a bit more flexibility in it. These were built with the goal of listening to music, so there is no microphone or button on the cable. 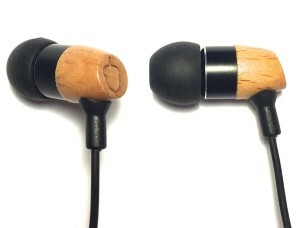 I have been told that wooden made headphones should produce a warmer sound and have more bass than metal or plastic competitors, I found this to most definitely be the case.I actually found there to be too much bass, but after tweaking the EQ on my phone, I was able to get a more balanced sound. I would describe the overall character of the sound to be very warm and soft. While the bass is very big, it still managed to sound natural to me. While testing, I listened to a lot of different types of music. While they worked really well with every type of music I could find, I found they really came into their own when the sing contained real instruments. Acorn Media made a massive statement with their choice of no button or microphone. It shows that they carefully considered their target audience and I think even though they have been succeeded by the E2, they are still a great sounding set of earphones. The E2s came packaged nicely in a carry case which also included some other accessories (an airplane adapter and a cable clip, as well as some extra silicone earbuds in different sizes), which was a nice surprise. The carry case has zipper to keep it all locked in tight and an inner mesh pocket too, for the included accessories. 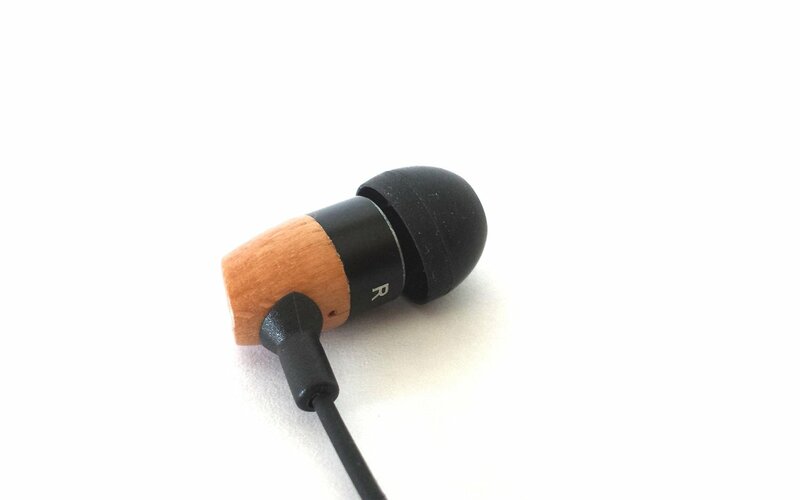 The wooden housing from the E1 has been defined and looks great, the rubber cable has been replaced with the more popular braided nylon cable. Even after a couple of hours having them in, the earphones were still fairly comfortable. They sit nicely in my ears and no matter how much headbanging I did to Chicago, they didn’t fall out. They did a great job at isolating sound, including when walking by a main road. I wouldn’t say the quality is spectacular, and sound the similar to other headphones in their price range. They have great clarity with decent bass. As with the E1s the sound is quite warm and bright. The E2s come equipped with a brand new in-line microphone and a remote that is compatible with both Android and iOS devices. Press the button once to play/pause, twice to skip a track, and three times to either go back to the previous track or back to the beginning of the song. On testing the microphone, I was told by the listener I was clear and crisp, with very little background noise. 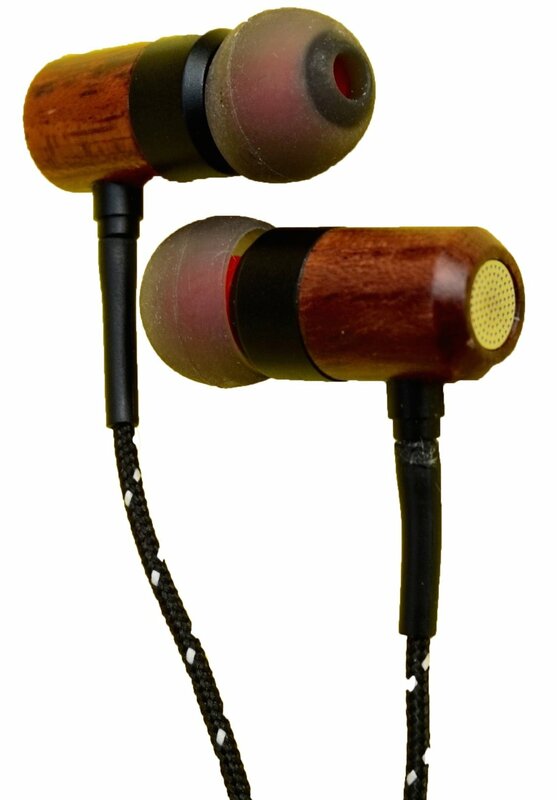 I would recommend these earphones to use if you’re just looking for decent sound and a cheap price range. I found them good value for money, and they look good on the ears too.